We will explore the potential and practicality of your project with you. Services includes; site inspection and survey, consultation and discussion meetings, preparation of feasibility report, and drawing studies to establish what the options available are for a project and how best to achieve the desired outcome. The team has a wealth of experience in architectural design. We will take your design brief and explore the ways in which we can achieve your project aspirations, working together with you to develop the project from concept design stage through to detailed design. No project is too small, we are happy to discuss any scale of project with you. Services include; the preparation of option studies, concept design, development of the preferred option(s) to a level of detail for further discussion with yourselves and various consultees, through to a detailed level of design drawing, presentation of design for client and public consultation. Robin Nugent is a Specialist Conservation Architect, Conservation accredited by AABC and RIBA and was one of the very first placed on the new register at the highest grade, RIBASCA. We believe that in order for the historic buildings to be maintained and remain active, a solution that respects the history but evolves for the C21st must be found. 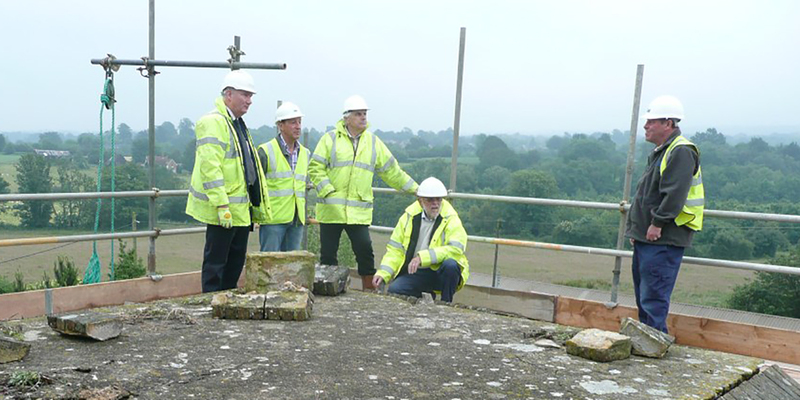 Services include; condition surveys, conservation and historic building advice, heritage impact appraisals, reports and assessments, obtaining required consents, overseeing the repair Works to heritage assets. We have experience working with the local authorities and secular planning controls in order to secure approvals through planning and listed building consents, as well as through the faculty jurisdiction system. By working closely with you from the early stages of your design project we are able to ensure thoughtful and detailed design which will assist in the success of your applications. Services include; full planning drawings, design and access statements, heritage statements, Listed building consents, submission of planning application, liaison with Planning and Conservation Officers and Local Authorities, consultation with the National Amenity Societies, submission of formal and information advice to the DAC. If your project requires advanced planning advice we have a preferred planning consultant who we advise is appointed at early stages of the project to comment on the design and support in the application process. 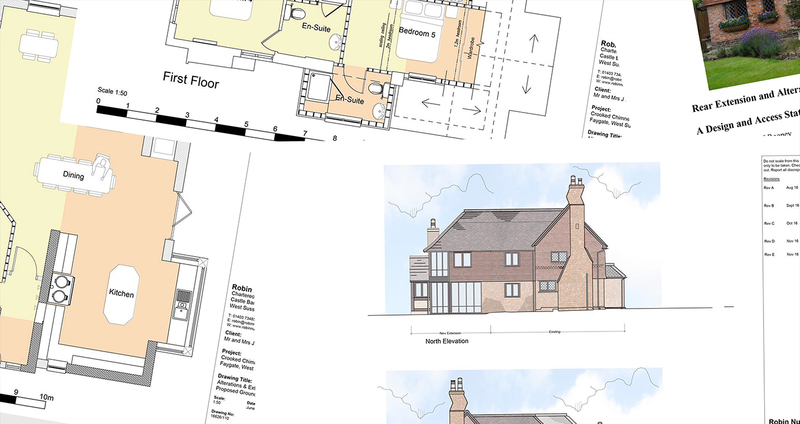 As part of our traditional architectural design service we will take the architectural design drawings and consented design drawings and develop these into working construction drawings for the purposes of obtaining Building Regulations Approval. Services include; preparation of construction drawings, construction notes, u-value calculation, submission of Full Plans or Building Notice applications, liaison with the Building Control Officer. We provide a complete contract administration service for the full cycle of your project taking care of all aspects of the construction phase before and during the Works. The role of contract administrator is to administer the building contract impartially and fairly for the client (employer) and the contractor, we find that the key to the success of this is to maintain open communications with all parties involved in the project. Contract administration services prior to commencing on site include; preparation of specifications and schedules of works, detailed drawings to accompany construction drawings, issuing invitation to tender to contractors, review of tenders received, recommendation and contractor appointment. On site services include; administration of the contract, site meetings and inspections, valuations and issue of interim payment certificates and final accounts, architect’s instructions, practical completion and rectification period inspections. We use a variety of media to explore design ideas and enable better understanding of the design proposal details by creating 3D renders and visualisations of the internal and external elements of a project. We find that this also better supports applications and consultations and can be used at any stage of the design development including planning applications, and client and public presentations. Services include; 3D modelling, 360-degree images, photo montages, and internal and external renders. Robin Nugent is an approved Inspecting Architect to over 25 churches in four Diocese, overseeing major repair works and reordering. Services include; Quinquinial Inspection reports, conservation consultation, overseeing repair, reordering and extension Works, preparation of supporting documentation and drawings. These services are fully described in the Conditions of Engagement for the Appointment of an Architect, which is published by the Royal Institute of British Architects, a copy of which we shall provide for you.